Allahabad : A 26-year-old Dalit student has been lynched by mob at a restaurant near Laxmi Talkies in Old Katra area of Allahabad. 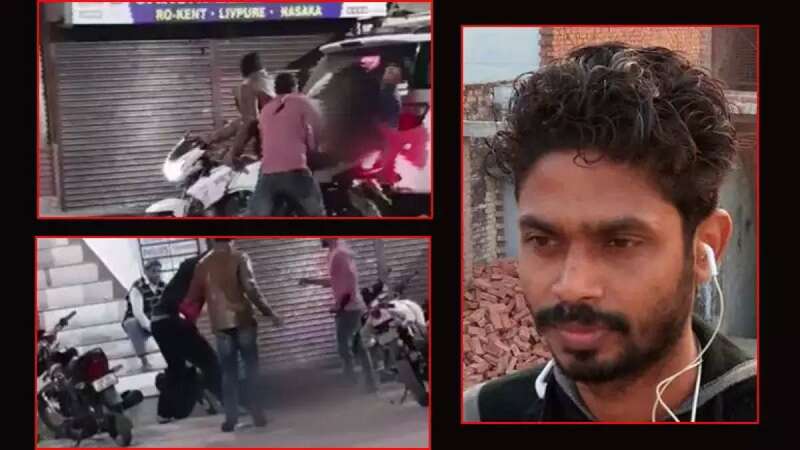 The cops have lodged an FIR against six people who have been caught hitting him with bricks and rods in a CCTV footage from the place of incident. The deceased has been identified as Dilip Saroj, he belonged to Dalit community and was pursuing LLB from Allahabad Degree College and lived at a rented room in Om Gayatri Nagar. Saroj was at the restaurant to celebrate the day with his friends; he was sitting on the staircase when the six accused too arrived at the restaurant. As per police, they went into brawl after one of the accuses feet touch Saroj and he objected to it. Inspector of Colonelganj police station Awadesh Pratap Singh said, "As per the CCTV footage obtained from the restaurant, they attacked Saroj mercilessly in the restaurant. He tried to flee but fell unconscious outside the restaurant. The accused, however, continued to hit him with rods and bricks in his head and body." An FIR was lodged against Singh and his friend under Sections 323 (voluntarily causing hurt), 307 (attempt to murder) and 308 (attempt to commit culpable homicide) of IPC.